A majority of Athens-Clarke County voters took their hopes for radical change to the polls when they elected a new mayor who will take charge next January. Kelly Girtz, a progressive democrat who was elected in a three-man mayoral contest in the May 22 elections, will be accompanied by a now-majority progressive county commission. Why It’s Newsworthy: The goals set by the new government about housing, transportation, education and other policies will have an effect on the Athens community. I sat down with Kelly Girtz, a former teacher and principal at multiple schools in Athens-Clarke County since the 1990s and current three-term county commissioner from District 9, at Athens City Hall to discuss the issues he plans to tackle when he enters office. I opened by asking Girtz how he believed the Athens community came to electing a progressive mayor and county commission. Prior to our interview, Girtz sent me a statement outlining the history of Athens and how its residents made money dating back centuries. “What [the unemployment rate] tells us is that we just have a lot of working poor,” Girtz said. Athens For Everyone’s top local platform priority is an “equity package to combat poverty”. A detailed housing plan by Girtz for such an initiative can be seen in the graphic to the left. I asked Girtz about the purpose of new apartment complexes around the downtown Athens/UGA campus area. 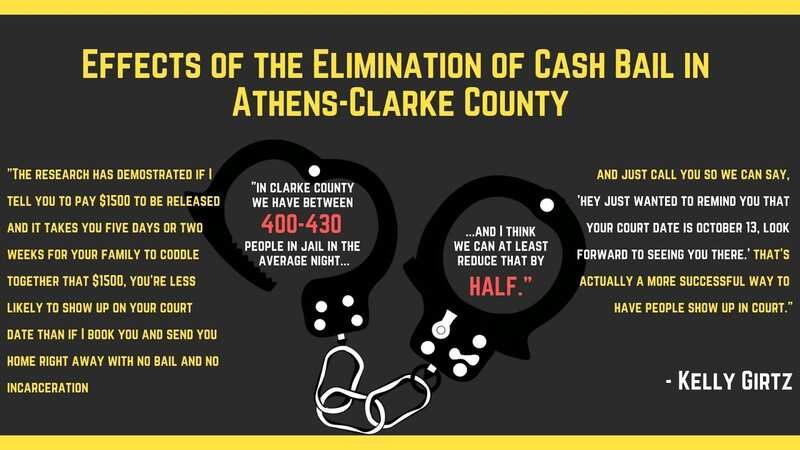 “There is a lot of outside money flowing into Athens. Better than two-thirds of the undergrad student population at UGA are folks from that northern arc of Atlanta, so people are coming here with their parents’ wealth,” Girtz said. Girtz also said the HOPE Scholarship allowed for parents to invest in housing rather than tuition that had been paid for by such scholarships. Girtz calls this housing pattern a “national phenomenon”, as since presence of students being able to afford more expensive housing, more construction projects have focused on university-age housing rather than single-family housing. The Athens-Clarke County Board of Education controls the school district in the city but Girtz says local government could provide the means for a better city for students to live. 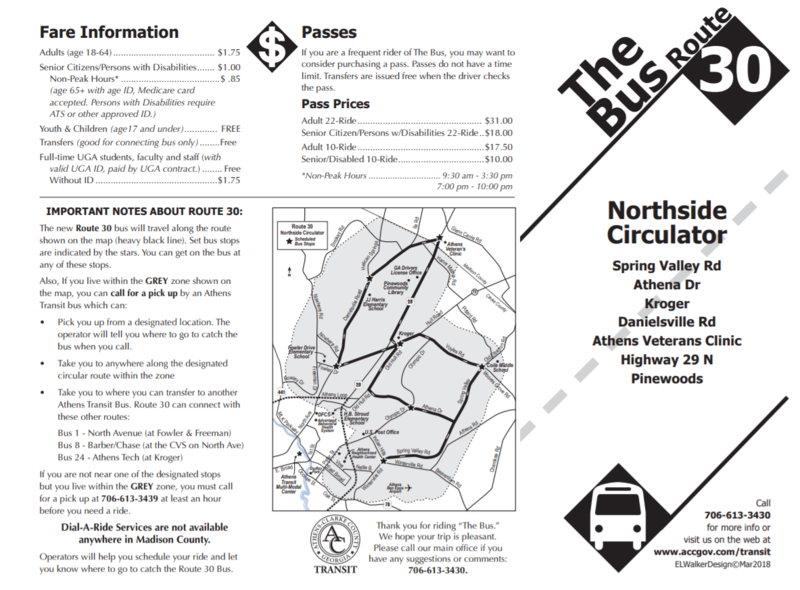 Map of Athens Transit Route 30, the Northside Circulator. One model Girtz believes could expand Athens Transit is a $15 annual line item for vehicle registration. Girtz said that could “produce significant revenue” which could lead to a fare-free transit system that could operate more routes per hour. 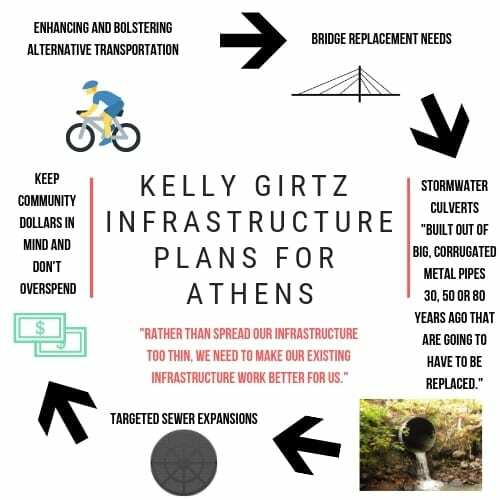 Girtz proposed “targeted residential density increases” in certain areas of Athens to take advantage of existing infrastructure to make sure the community has access to resources. Girtz explained that instead of paying more for an increasingly spread out population, a “smart way to manage” Athens would be to ensure all residents stay in areas where emergency personnel and existing infrastructure could be available. Finally, Mayor-elect Girtz and I discussed incarceration in Athens and how his policies could both incarceration rates and the process of incarceration in the county. How much of this is possible? Kelly Girtz has many policy plans for the city. Despite mayoral positions in Athens being limited to two consecutive four-year terms, Girtz remains confident he can achieve many of his goals. Kelly Girtz, the new county commissioners and all other elected officials to the Athens-Clarke County government will be sworn into office on January 2, 2019. I will be looking into housing in Athens-Clarke County next this series. 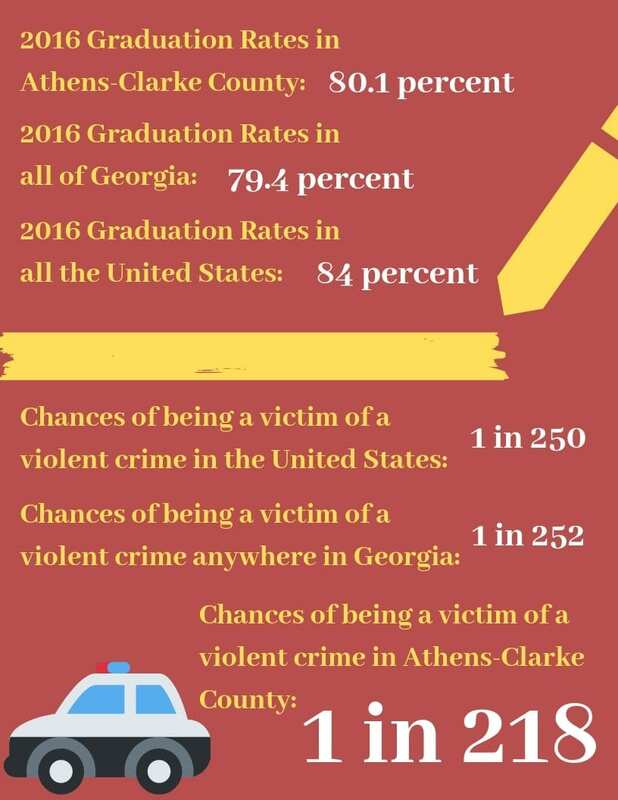 If you have any information, personal experience or tips about housing or any other issue in this article, please email ajm65909@uga.edu. Alex Marchante is a senior majoring in journalism in the Grady College of Journalism and Mass Communication at the University of Georgia.